SIR: THE AUTHOR of ‘The Nature of Nurture‘ deserves to be fired on the grounds of scientific illiteracy and an egregious lack of journalistic integrity. 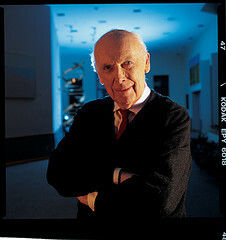 He unjustifiably insults James Watson (pictured), the co-discoverer of the DNA double helix, as ‘stupid’ for making the incontrovertibly true assertion that the average intelligence level of Africans differs from that of Europeans. Decades of scientific tests confirm that fact, and it is simply not in dispute.